Banker Lopez Gasser is proud to be a "Snook" sponsor of the Coastal Conservation Association of Florida's Twenty Eight Annual Banquet & Auction. 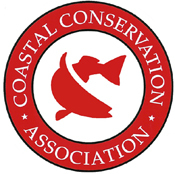 The Coastal Conservation Association of Florida (FCA) was formed in 1985 and became the fifth state chapter of the Coastal Conservation Association. Their mission is to protect and enhance Florida's coastal fisheries and marine environment. For more information regarding the event, please contact Mike Modisett at (407) 257-7333 or mmodisett@ccaflorida.org.